Miloko serve White Russian cocktails from a seriously cool converted 1960’s Morrison Milk Float, whilst dressed as milkmen/milkmaids - it doesn’t get more quirky and cool than that! 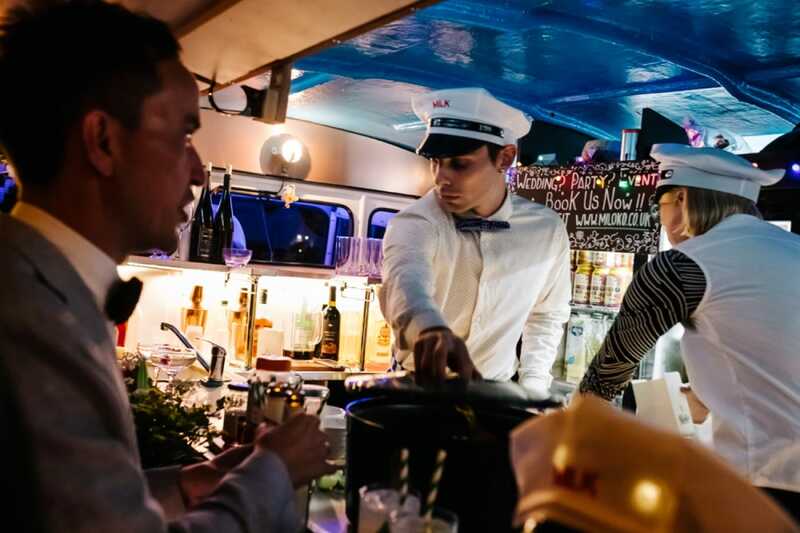 They have served their delicious White Russians to a whole load of great clients including the BBC, Hampton Court Palace, GymBox, Percolate and Legends of Kremlin Vodka. They serve four variations on the menu, three of which are completely vegan. Their signature cocktails are served in biodegradable paper cartons with paper straws. All of their signature cocktails are light, silky and delicious and will leave you wanting more! Miloko are very happy to supply other cocktails and alcoholic drinks too, but they would always ask to keep their signature cocktails on the menu - to date, they have sold over 2000 White Russians alone and guests can’t seem to get enough of them! They can also stock beers, wine, champagne, gin & tonics and pretty much anything else. Miloko is also fitted with a brilliant sound system that has more than enough power to cater for your event. 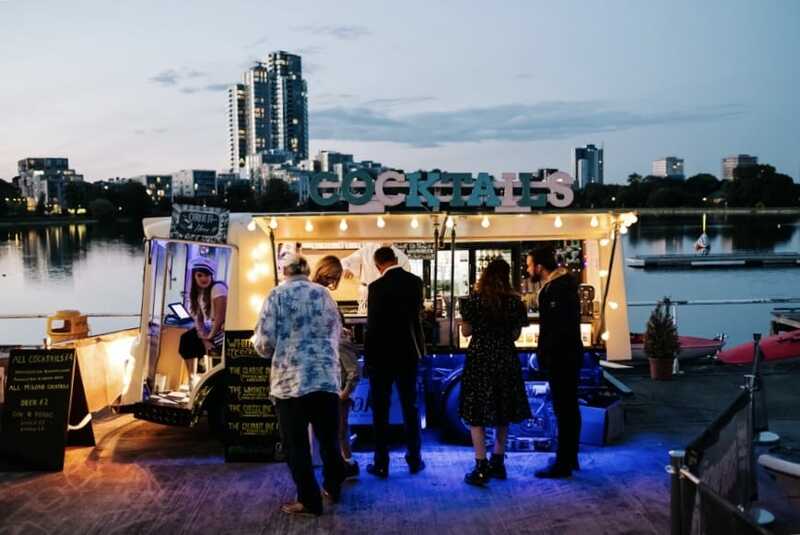 If you are looking for something completely unique for your event, then you have come to the right place! 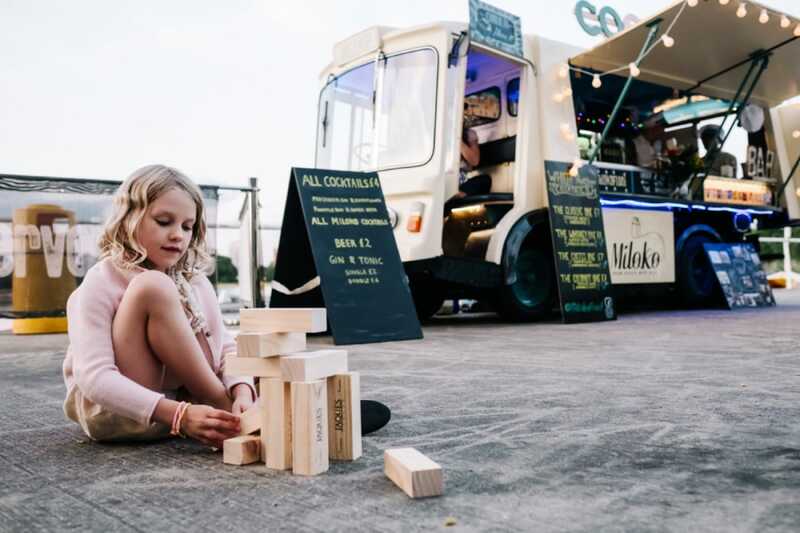 The milk float is certainly very memorable and would be a really fun addition to any kind of event. People will realise how great White Russians really are! They can also travel anywhere in the UK - book them here on Feast It in just a few clicks.